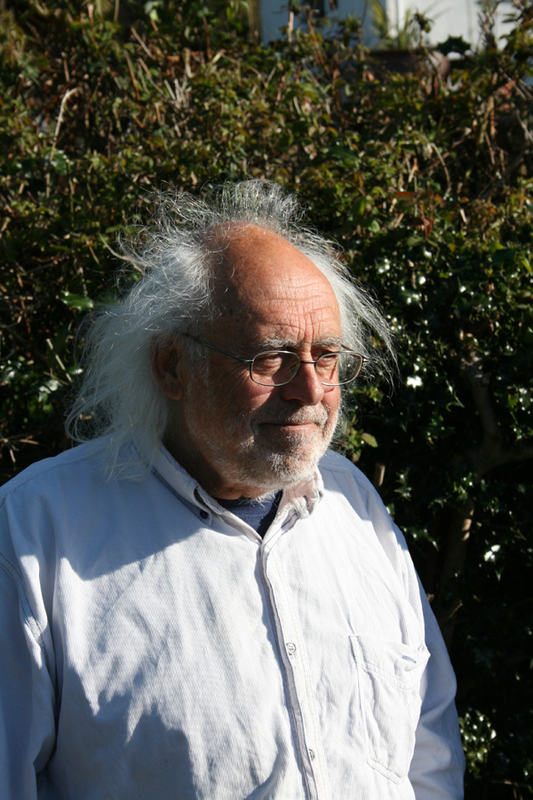 It is with great sadness that we have learned that Mick Aston passed away on 24 June. Familiar to millions for his work on Time Team, Mick’s passion for archaeology and gentle good humour inspired countless viewers to follow in his footsteps. A longstanding friend of Current Archaeology, we were thrilled when he started writing a column for us and were looking forward to following his fieldwork exploits in Winscombe for many years to come. Alas, it was not to be. I was lucky enough to meet Mick Aston last year when I interviewed him for Current Archaeology. Kind, welcoming and modest, he gave freely of his time, taking the time to guide me through not only his own archaeological journey, but also around his local village. As we wandered down winding footpaths he explained what map regression had taught him about their origins, and also warned me of the dangers of attempting to age hedgerows based on the variety of flora within. For someone who had grown up watching Mick on television it was a magical experience. I had hoped that one day I would be able to visit again and benefit from his experience and advice once more. Mick will be sorely missed. Our thoughts are with his family and friends. Mick inspired me to study archaeology when I retired a few years ago. I have two more years of my distance learning degree to go and love every minute of it. We were born about a month apart and strangely shared many similar ‘odd’ traits. A number of times on digs, people have asked, had I (as Mick) lost weight, as we share the same beard and hair colour plus glasses…I am just slightly better looking (sorry Mick). My wife is currently knitting me a look-alike hat so I can continue in Mick’s image. What a shame I never wrote to him telling him what an inspiration he was to me while he was alive……. Was so incredibly saddened to see Mick Aston had died. What a lovely man he was and, as we all know, Time Team wasn’t the same without him. He and Time Team instilled in me an interest in archaeology that has never gone away — which also means, when he left Time Team and said he felt it was “all for nothing” as archaelogists had not take taken up the legacy of the program I say “who cares about the archaeologists, if that’s how they want to behave”, because what’s more important is how many ‘common folk’ like me became interested in archaeology and realized how important it was. And that is Mick Aston’s legacy. He will be very much missed. Sad that mick aston has died. Even in denmark, we are sad!!! I was so sorry and sad to hear of Mick’s death. I first met him in 1969 when he came to our local society and taught us how to do an accurate sketch survey. Like Mike, I started my archaeological career digging with Jim Gould at Wall, Staffs in 1963 and was hooked. I got to know Mick well in the 1970’s and he regularly dropped in to my house with a flagon of scrumpie, on the way to his parents house in Birmingham. I unfortunately lost contact with him in the 1980’s as I moved around the country, but I followed his career, and in particular Time Team, with great interest. He was such a brilliant and enthusiastic communicator and bought archaeology to the forefront of public interest, as few archaeologists had done before. I am so glad we got back in touch with each other just before he died, but his death was still a great shock. He will be sadly missed by all of his many friends and fellow archaeologists. TV archaeology will not be the same and he was so right that it is being ‘dumbed down’. I just hope that TV archaeology will not become a freak show! A geat man sadly missed.the planet has lost a one in a million person who will be remembered down the years to come. I have only just found out that (1) Mick Aston has died and (2) Time Team has finished. What a waste of a very Talented man’s life in which he gave a good few years to something he both loved and enjoyed. When I say waste I mean why finish televising a show that many enjoyed here and everywhere in the world. Surely it would be better to continue with the programme thereby carrying on all the good work that Mick Aston and his colleagues have done over the last 20 years. What do we the viewer, have to do to get you the TV Broadcaster to continue making the programme Time Team. If you do reconsider don’t ask the assistance of the person who thought it would be a good idea to move production to another part of the country. I would like to see NEW programmes of Time Team in the future and not un-shown. So come on Channel 4 think about your reputation. I watched Time Team all over again (to tell the truth I watch it even now on Viasat cable network) same episodes, two, three, four times…In some seasons there were other field team leaders, other than Mick, but must say, he was one who TV camera likes best. Funny cap, one and jumper “of many colors” were integral part of this extraordinary, exceptional man of science (if archeology could be one – but in any case discipline need scientific methodology and apparatus). Bur sadly I was not aware of his death, until today, almost half a year latter. I liked him very much – seeing him as modest and easy going man, kind of sweet. I only became familiar with Time Team around about 2009 and was astonished that it already had such a long run. I assume it was very rarely shown here in Canada, but TVO (TV Ontario) began showing it regularly about the time I caught on. I applaud the Brits for sticking with a great show for as long as it ran! In N. America – such a program would have barely survived a couple of seasons!! It took little time for me to become familiar with the Team and I awaited each weekly episode with high anxiety! When many back episodes began showing up on the internet I was thrilled and indulged often and still do today. Just as I started classifying myself a true Time Team fan – the program was cancelled. Then soon after, with great sadness, came the news of the passing of Mr. Aston – and just 3 days after the passing my own father. Long live TT and Mr.A !